In the last weeks I’ been integrating the WebGL Technology to take advantage of the great skills of my partners of the infographics department here at nacion.com Daniel Solano and Edgar Jiménez both of them great artist´s, they works on Cinema 4D to produce print graphics for the regular editions of the news corporation, that kind of work it’s simply awesome and it’s a shame don’t use all his digital potential. So, here’s a pair of work that we worked on together to improve the experiences for the readers. On september 15th of 1965 Fox and CBS launch in USA the TV Show “Lost in space”, 50 years after, we wants to remember the serie, the main characters and vehicles that captivated audiences for decades beyond its premiere. Here’s an exclusive access to the 3D models, The Chariot, and The Jupiter 2. It’s really nice have the chance to work in this kind of topics, science and space are one of my all time favorites. if you want to know more about the graphic the original feature at nacion.com here. 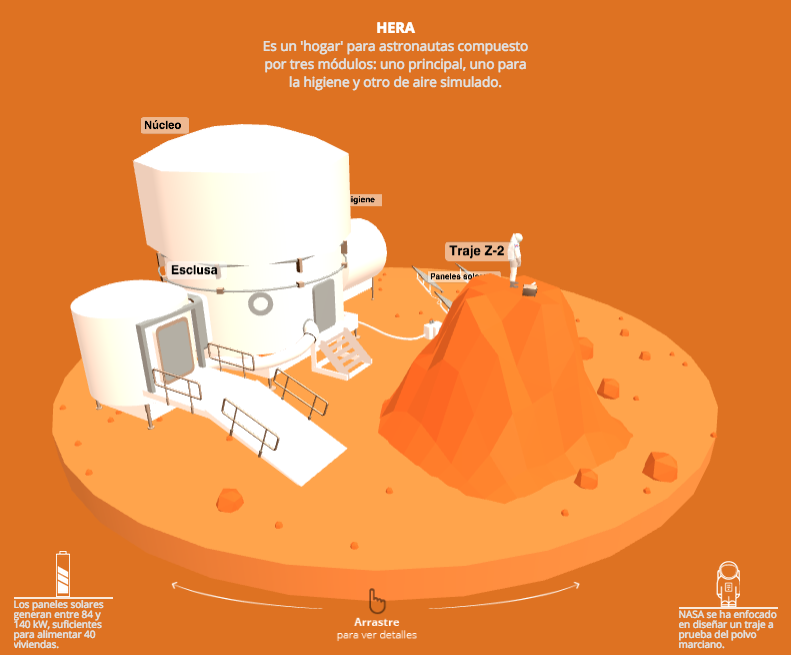 At least nine of the technologies developed by NASA towards Mars space exploration are mentioned in the book and movie The Martian, this 3D infographic collects those coincidences. I also want to add some short animations as gif files in the graphic to give support to the information and the whole infographic, Edgar and me develop this sort animations in After Effects. 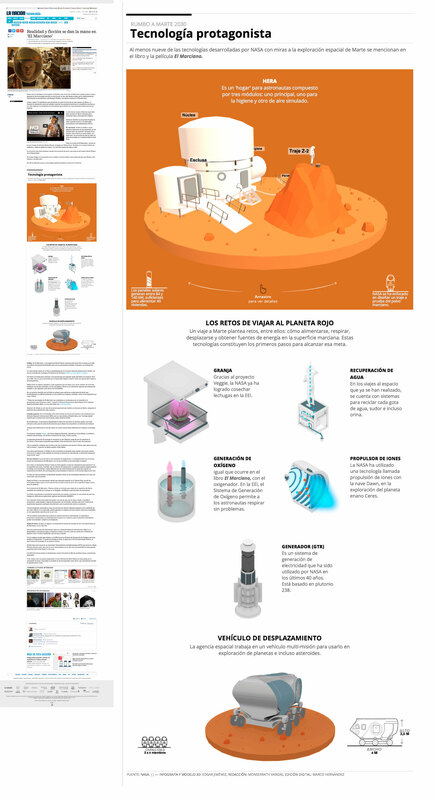 if you want to know more about the graphic the original feature at nacion.com here.